Northglenn Police have arrested 20 year old Jose Nunez for allegedly attacking his own cousin and roommate, 18 year old Juan Rodriguez. The arrest was made just hours after the discovery of Juan Rodriguez in the parking lot of an apartment complex in Northglenn; although the family of both the victim and alleged assailant have contended that there is no way Jose Nunez could have committed such a crime. Drury explained to the police that this must have been a case of mistaken identity, since Jose is more ‘light skinned’, but the Northglenn pigs claim that they are “confident” that they “have the right guy.” Although Drury believes that this was a case of mistaken identity because of his ‘light skin’, could it be that it is the other way around? Nah, a person of color has never been falsely accused of murder. Although Northglenn Pigs are still “canvassing the area around the crime scene looking for witnesses,” they reassure the community that the right person has been arrested and that another person of color has been locked up, despite the obvious lack of evidence. Police have identified two officers who shot an unarmed man in Denver last week. Detective Joseph Hamel, a 13-year veteran of the force, and Officer Steven Letendre, who has been on the force for nine years, wounded 19-year-old Nicholas Loera in an apartment building in the 1300 block of Washington Street near St. John’s Episcopal Cathedral. Loera, 19, had an outstanding arrest warrant for a parole violation at the time of the shooting, according to Sonny Jackson, spokesman for the Denver Police Department. Loera, who police first suspected was a serial criminal known as the “inside-out robber,” was shot multiple times at about 11:55 a.m. Wednesday after officers approached him near Washington Street and East Colfax Avenue. Police said Loera threatened to shoot the officers and made a motion as though he was pulling a pistol when the two officers shot him multiple times. Loera, however, was not armed. 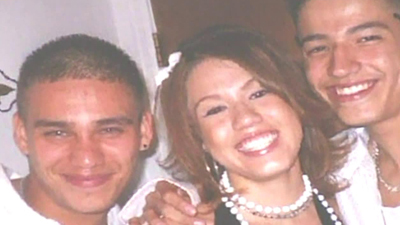 The day of the shooting, Loera was taken to Denver Health Medical Center in serious condition. Details on his condition were not available. The shooting remains under investigation. The Colorado State Patrol trooper arrested in his patrol car on allegations he was drinking while on the job had a blood alcohol level of .194, according to an arrest record reviewed by 9Wants to Know. Douglas County Sheriff’s deputies arrested David Dolan, 48, after pulling him over at Platte Canyon and C-470 around 7:05 a.m. Monday, shortly after a Douglas County deputy spotted his car driving westbound on C-470 at Santa Fe. Following his arrest, Dolan was brought to a sheriff’s office substation where he agreed to take a “walk and turn” test that helps officers determine whether someone is intoxicated. “He was not able to keep his balance and stepped off the line two times,” the arresting officer wrote. Dolan then chose to take a breath test and blew a .194, a level more than double the .08 legal limit. Read the rest of this report at 9News.com. A Weld County Grand Jury investigating the fatal shooting of a man by a Platteville police officer, who fired his service weapon “approximately” 12 times, did not issue an indictment in the case. Matthew Lucas Herrera, 30, of Platteville, was fatally shot Jan. 27 by officer Jim Torrez, according to a media release from the Weld County Sheriff’s Office. The Weld County Coroner’s Office said Herrera died of “multiple” gunshot wounds and was likely hit by “10, or a portion of 10” bullets. Deputy Coroner Chris Robillard said Herrera was hit multiple times, in various parts of his body from various angles, making it difficult to pin down exactly how many times he was shot. Before the shooting, Platteville police had received information about a “suspicious vehicle,” including the vehicle license plate number. The plate was registered to Herrera, investigators said. Details on why his Chevrolet Camaro was considered suspicious were not released. Another Platteville officer, Eli Rodriguez, had tried to pull over Herrera’s car at about 6:35 a.m. the day of the shooting and pursued it for two miles, but the driver didn’t stop, according to the district attorney’s office. Rodriguez ended his pursuit. A short time later, at about 7 a.m., Torrez, out of uniform but in his marked patrol cruiser, arrived at Herrera’s home where he saw Herrera’s car pull into a “vacant” parking lot. Torrez positioned his patrol car across the northern access to the lot to block Herrera’s car from leaving. The release said Herrera drove his car in reverse, bumping into Torrez’s cruiser, before driving forward. Torrez got out of his patrol car, drew his gun and ordered Herrera to get out of the car. Instead, Herrera tried to drive off, but his tires were unable to gain traction on the icy lot surface and the Camaro tires spun out. “Officer Torrez stated that he believed he was in danger of being hit by Herrera’s vehicle,” the release said. “Officer Torrez fired approximately 11 rounds at Herrera while Herrera was in his vehicle,” the district attorney’s office said. Herrera did not have a gun and no weapon was found in or near his car. Platteville, with a population of about 2,400, has four patrol officers. Gilbert Herrera said the day of the shooting that his son was hit six times in the barrage. State trooper arrested on DUI charges in Douglas Co.
A Colorado State Patrol trooper, in uniform and driving a marked patrol car, was pulled over this morning by sheriff’s deputies and arrested on suspicion of drinking and driving. The incident happened at about 7 a.m. after the Douglas County Sheriff’s Office received “multiple calls” reporting that a state patrol car was “driving erratically” on northbound I-25 near Castle Rock, the sheriff’s office said in a media release. The trooper has been identified as 21-year-veteran David Dolan, assigned to a unit in Colorado Springs. Response to the calls this morning was transferred to the State Patrol because it was on the interstate and involved a State Patrol cruiser. But a short time later the State Patrol called sheriff’s dispatchers “asking for our assistance in locating the vehicle and checking on the welfare of the driver,” according to a media release from the sheriff’s office. Dolan, 48, was handcuffed and taken to the Douglas County Jail where he was booked on suspicion of DUI, DUI per se, and prohibited use of weapons. He has been placed on unpaid administrative leave by the patrol as the incident is investigated by the sheriff’s office. The state patrol is conducting a concurrent investigation as well. 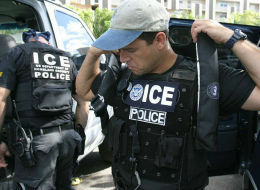 A new Immigration and Customs Enforcement (ICE) Office was opened in Greeley, CO. unannounced! 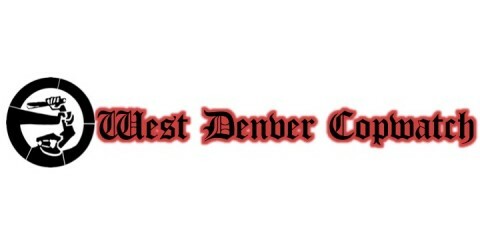 The pigs who have been consistently harassing people of color in Greeley and around Weld County for years claim that the office was needed because of ‘drug trafficking’ through Weld County, although as Roberto Romero from Al Frente in Greeley explained, there are no major drug trafficking highways that go through Weld County. The office was opened despite constant resistence from the local community, and was opened without announcement specifically because they thought that it would cause an already divided community to react and respond directly. Since the inception of the Immigration and Customs Enforcement (ICE) agency, they have been jailing and deporting innocent persons. A countless number of families have been seperated by the ICE agency in Weld County alone. This office will only perpetuate the hatred against persons of color, as well as continue to imprison innocent individuals at the expense of their families. Vent your anger! DA Ken Buck has been a huge supporter of ICE and the opening of new ICE offices in Colorado; with this office opened in Greeley and another scheduled to open in Colorado Springs, we ask that you tell Ken what you think! Denver police were justified in firing multiple shots at Joseph Leo Fresquez because he attempted to run down an officer in a stolen car, Denver District Attorney Mitch Morrissey has concluded. Fresquez was hit multiple times when officers Steven Sloan and Paul Velasquez fired their weapons after Fresquez tried to run down Sloan about 5 p.m. March 7 in the vicinity of South Federal Boulevard and West Ellsworth Avenue, said a letter from Morrissey clearing the officers.